President Trump has just signed a proclamation declaring a National Day of Prayer Sunday, Sept. 3 for Hurricane Harvey victims. Shelly and I are just blown away. This is stunning news to hear a president call a nation to prayer, to call a nation to God. To read his proclamation, CLICK HERE. 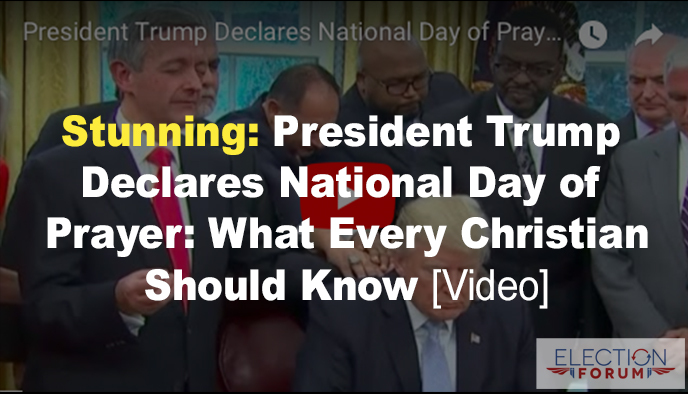 Watch this incredible 10-minute video of church leaders praying and laying hands on President Trump after he signs the National Day of Prayer proclamation. Stun America and the world. Stun Christians who were praying he would do exactly this. Stun the media and progressives, who get upset when the topic turns to God. This comes on the heels of Vice President Mike Pence and Texas Gov. Greg Abbott proclaiming Sunday as a National Day of Prayer in Texas. You probably don’t know this, because it’s largely under the radar. The gospel is being proclaimed and spread … because of Hurricane Harvey on TV, the Good News is being declared on radio, Facebook, Twitter, newspapers. The love of Jesus is being glorified and magnified. The crisis has galvanized and united our country, except those in the liberal media. The media has mostly ignored … and some criticized the Vice President Pence and Texas Gov. Greg Abbott proclaiming Sunday a Day of Prayer. Gov. Abbot was accompanied by Pence and his wife, Karen Pence, and Rev. Franklin Graham, whose relief organization, Samaritan’s Purse, is on the ground in Southeast Texas offering relief and mobilizing volunteers. “It was God, acting through the lives of so many Texans, who came to the rescue of other Texans. It was the power of God that was able to pull the people out of the water and literally save them,” the governor said. Prior to Abbott’s remarks, the Rev. Graham recalled the Gospel story of Jesus and his disciples in a boat during a storm. “You’ve gone through a storm, and let me tell you, the Lord Jesus Christ, he’s still here,” Graham told the crowd gathered in Rockport. 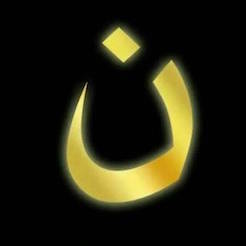 Are not afraid to show their faith. Are not afraid to pray in public. He is our refuge and shelter from the storm and rain (Isaiah 4:6). Families have given praise to God. Volunteers have given praise to God. Rescuers have given praise to God. Our country’s leaders have given praise to God. And yet it is individuals who praise God through the storm. Those were the panicked words out of the mouth of one of Jeremiah and Audrey Johnston’s five children (three of which are triplets), when told they have to evacuate their shelter. They were 2 miles from the Brazos River in Texas, which was at an all-time high, due to the torrential rains of Hurricane Harvey. They packed up and left. “Without our faith in God, we don’t know how we could do this,” said Johnston. Dad Jeremiah Johnston was just one of many who gave a tremendous testimony of their trust in Jesus on national TV. And yet Christians, along with conservatives and Republicans as a group, are stigmatized and mocked, slandered for their faith and optimism in the greatness that is America, by the liberal elites and the media. Despite the “anti-God rhetoric… this anti-Christian spirit, I choose to believe what James 1:17 says, that ‘Every good thing comes from above’,” said Johnston. It is a call for our country to turn once more to God and acknowledge His sovereignty in America. It’s a call for us to love one another as Christ loved us. It’s a call to pray for healing in the land. As Christians, we need to continue to pray for everyone impacted by the epic devastation – the loss of everything for many. Please pray for the people and the relief workers that they be safe. If you can travel to Houston and volunteer to help first-responders. Donate relief packages through the Red Cross, Salvation Army and other agencies. Your church can partner with other churches and ministries on the front lines. Prepare! A disaster can hit anywhere, anytime, so be prepared with essentials such as flashlights, batteries, radio, clothing, food and water. Watch this moving 8-minute video with Gov. Abbott and Vice President Mike Pence as Karen Pence prays for all involved with the hurricane. Watch this powerful 6-minute video testimony from the Jeremiah Johnston family. P.S. If you don’t already subscribe to my free Reality Alert newsletter, CLICK HERE. We have an amazing God who does work out everything for good. And He is bringing men and women and children to Himself. I pray for His Holy Spirit to give us wisdom and power to help others and share the love of Jesus Christ with those suffering through the storms and with those all around us who need our Lord and Saviour. V-E-R-Y happy about the National Day of Prayer…..God is GOOD ! On the declaration of National Day of Prayer for hurricane Harvey, We the Christian congregations of Sutlej Reformed Church Of Pakistan are stand with you in Prayer and solidarity. We come to you with a heavy heart and pray to you for all the people impacted by Hurricane Harvey and other disasters in last several days on this earth. Bring comfort and peace to those who have lost their loved ones. We pray for all who are still at risk on their houses, those in isolated areas and that places where the waters will still impact. Let them know that you are with them (Isaiah 41:10). We thank you for the skills, patience and training of the search crews who are working so diligently to rescue people. Be their strength and give them encouragement in their labours. Give wisdom and courage to the government officials and community leaders faced with difficult decisions when there are no good choices. Lord, you are always with us. You are our shelter in the midst of every tragedy (Psalm 46:1). In every situation you and your love stay and surround us (Psalm 125:2). Rebuke all the wind, raging waters and storms (Luke 8:24). We pray for calm and peace for all around the United States and world. God of mercy, remind us to hold up before you the people impacted by Hurricane Harvey and other disasters in the world not only this day or week, but over the months even years that will be required to rebuild and restore damaged communities. These things we pray in the name of Jesus Christ. Amen! God is sovereign! He is on the throne. He takes down leaders and appoints leaders just as He has always done. He causes the rain to fall on the righteous and upon the evil. He destroys and He lifts up. Blessed be the name of The Lord. His will is being carried out before our eyes. We may not understand how all His workings of His plans are for the good of His people who are called for His good purposes and those who do not belong to Him, but, we trust in Him and give Him glory no matter the outcomes, no matter the circumstances, and we pray to that end for His will to be accomplished here on this earth as it is in heaven. May many be called to Christ and saved by the means of this terrible disaster and through the means of all the people helping. May the victims and the helpers look to God for comfort, strength, and wisdom, and see Christ through this. May many seek His mercy, grace, and forgiveness unto salvation. I thank God that He is in the midst of His own and those that are not, may He hear genuine prayers of repentance for their souls. May we as a nation have this used in all of our lives to help restore ourselves back to God, back to his commands, back to His love, and back to His authority over us. God is a God of great love, compassion and mercy just as He is the supreme judge over all we say and do. We are responsible for how we conduct our lives and I hope that the people of this nation will rise up and stand with our mighty God for good instead of evil. We will stand before Him one day, each and everyone of us, so, how will we continue to respond moving forward after months pass from this terrible storm? Will it be in love, mercy, compassion for lost sinners, and standing for Christ’s truth and righteousness, or will it be in a spirit of fear, hate, and devisiveness. Fear God, not man, for it is God who has the power to send people into the lake of fire. Lets not forget that! Thank you President Trump for also giving this nation some hope through prayer for the disaster in Texas and for healing of this nation as a whole. May God bless him and keep him.